I'm updating this post because it's almost Mother's Day and this gift is my most favourite of all! 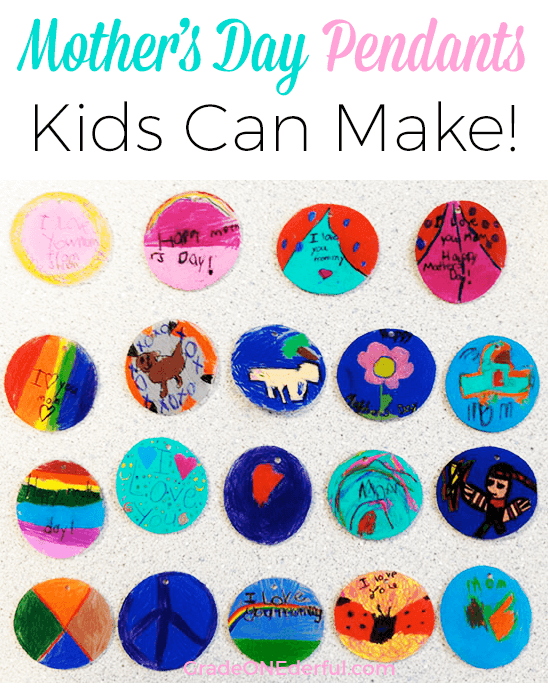 My friend, Michelle, gave me this fabulous idea for a Mother's Day gift: Shrinky Dink pendants! To start off I gave each child a piece of paper with 4 circles. They made 4 practice designs and then picked their favourite. I pre-cut a Shrinky Dink circle for everyone. We used the "Frosted Ruff n' Ready" (affiliate link). This is VERY important if you'd like the kids to colour their designs using pencil crayons. They colour up beautifully on the rough side of the Shrinky Dink. We heated ours in a toaster oven. I put two pendants in at a time (they were placed on tinfoil). It took about 20 seconds and was truly magical! 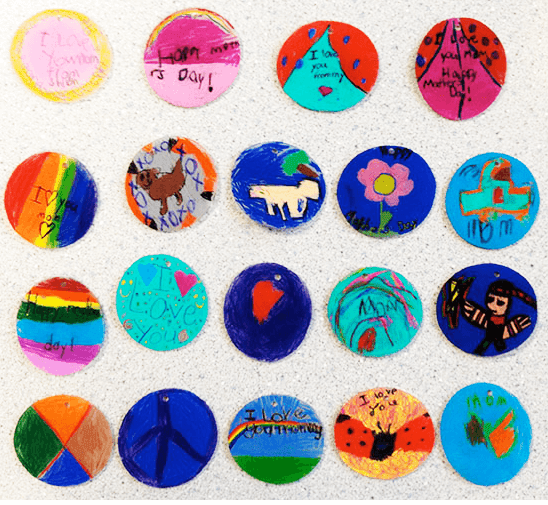 The Shrinky Dinks puffed up, curled then shrank quickly into a flat, round shape. They end up being 1/3 smaller and 9 nines thicker. If you're making pendants, make sure you punch a hole in the top before heating. I just used a regular hole punch. After they cooled I just popped in a silver necklace clip and voila! 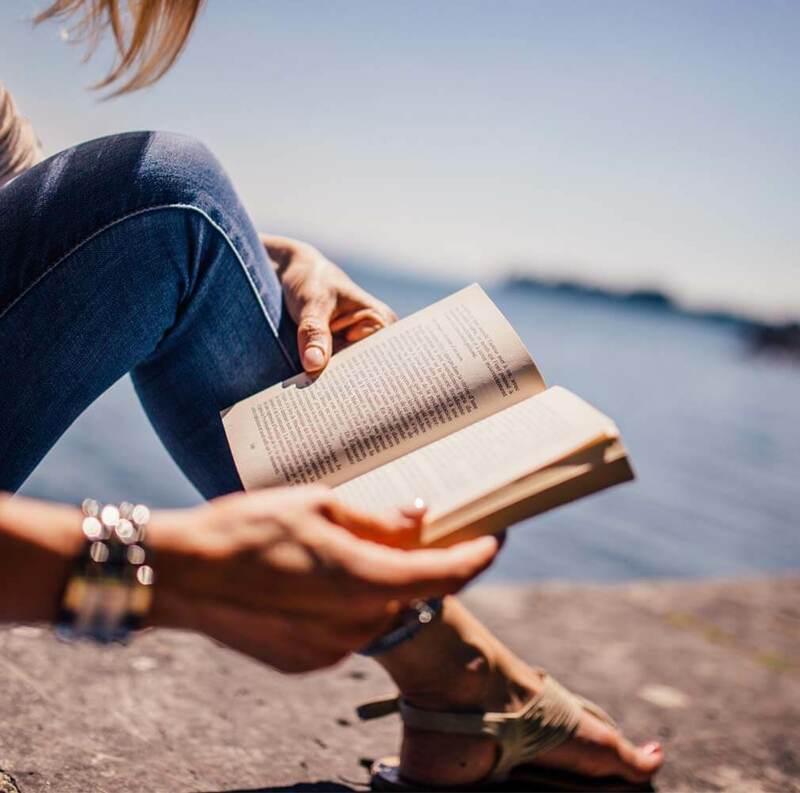 A super sweet and easy gift for mom. Thanks, Michelle! The kids taped them into their "button cards" (this idea was from Mrs. Goff's Pre-K Tales ~ thank you!) and they were all set to go. Be sure to visit TpT for my newest product! Very sweet Barb and so smart of you to ask them to do four and pick their favorite. Super cute! 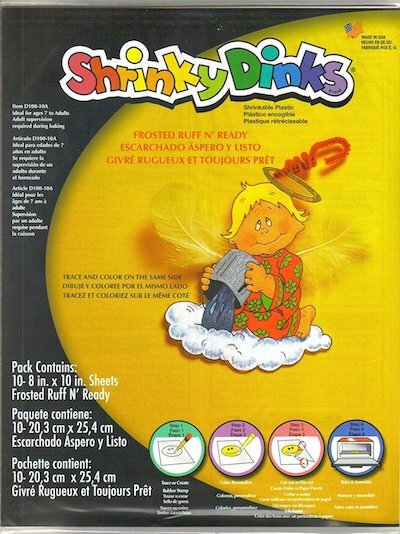 I used to LOVE shrinky dinks as a kid! Yeah, they're fun, aren't they? I'll have to do another little project with them soon. Oh my goodness... your "new" tree is so dang cute. Did you create that design? I have never used Shrinky Dinks before... they look like great fun. I'm going to have to so some playing around with them this summer. 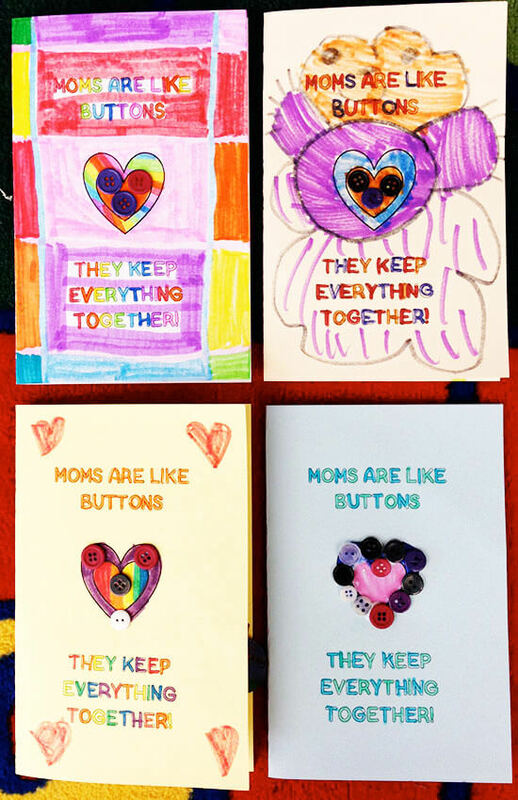 I also love the "Moms are Like Buttons..." so darling! 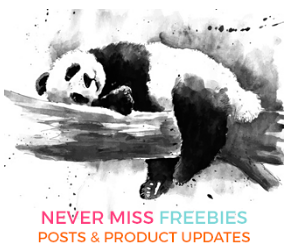 This post was FULL of great ideas and new graphics. 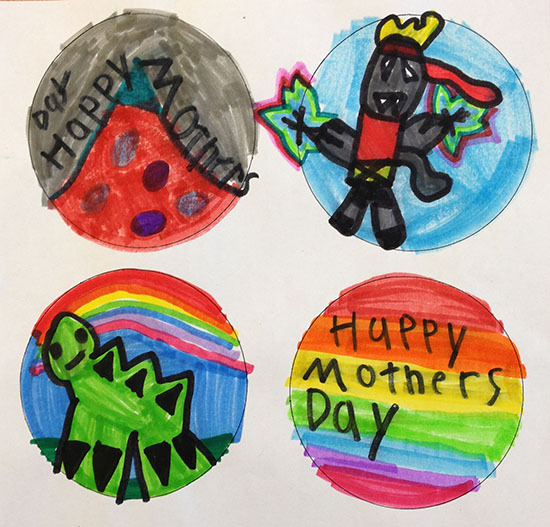 Cute Mother's Day project! I remember Shrinky Dinks from when I was a kid!